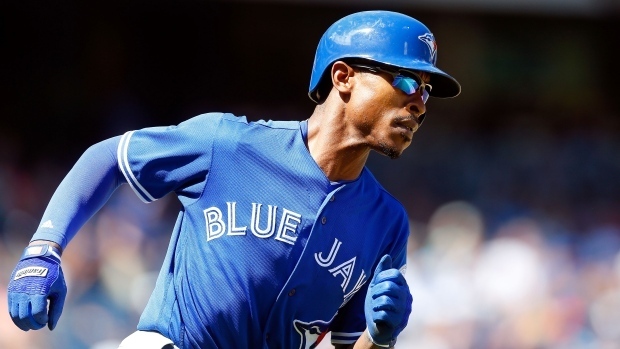 While Melvin Upton Jr.'s baseball career appears to be at a crossroads, the former Toronto Blue Jays outfielder is making headlines because he's changed his name back to B.J. Up until the 2015 season, Melvin went as B.J. for ten years as a tribute to his father, Melvin Emanuel Upton Sr. Melvin Sr, who's referred to as Manny, was nicknamed "Bossman," so the 34-year-old decided to follow in his father's footsteps of having multiple names by going as "Bossman Junior." Upton hasn't played since 2017, where he suited up in 12 games with the San Fransisco' Triple-A affiliate. The Cleveland Indians signed him to a minor-league contract last season but was released in March. Working with the MLB Network, B.J. explained that his wife had some major influence in reverting back to the life of the Bossman. "My wife said that Melvin doesn't sound right on TV, and she wants me to go back to B.J.," he said, as per MLB.com. "And everyone knows, happy wife, happy life." Have a look at Upton's Twitter account, and you'll see his name is now B.J. once again. Had a blast this week on @MLBNetwork Thanks to @scottbraun @DaveValleMLB Tom Verducci and Joe Girardi for the help and insight. Had such a good time I changed my name again.....until next time!